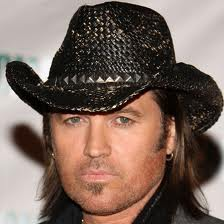 APA Senior Vice President Steve Lassister, released a statement today that Billy Ray Cyrus and Don Williams would be returning to the roster of the talent giant's agency. The release also revealed that Cyrus, would release a book this spring and tour the US and Australia. Don Williams is a Country Music Hall Of Fame Inductee and a legend! I or one, am excited he's making such strides to continue giving us quality traditional country music. Nothing like hearing a song that actually has meaning and not about shaking their hiney!